Sustaining Process Improvement is Often the Most Difficult Task - MTE Solutions Inc. Sustaining Process Improvement is Often the Most Difficult Task - MTE Solutions Inc. It looks like Patty is a little down…. “Well, Pete wins a sundae,” Patty sighed. “I met with the procurement VP and confirmed that, about 9 months ago, they had all of their material and equipment vendors in and had a pricing contest. The vendors with the lowest prices won. Many of the established vendors refused to participate, which she felt was arrogant. Since I was on a fact finding tour, I just asked questions and didn’t argue with her. 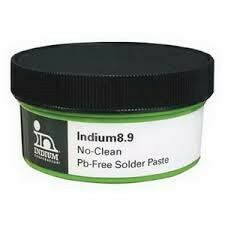 But my discouragement was hard to hide; especially when she told me that the company was using XctaPrint solder paste exclusively, because of its low cost,” Patty summed up. In the end, she couldn’t help but also lecture Mike on that fact that assembly materials and equipment must not be viewed as commodities. The materials and equipment must be evaluated for their impact on quality and productivity. Often slightly more expensive materials and equipment, in the long run, are associated with greater profitability due to their positive impact on the manufacturer’s production rate, first-pass yield, finished goods quality, reputation, and brand.